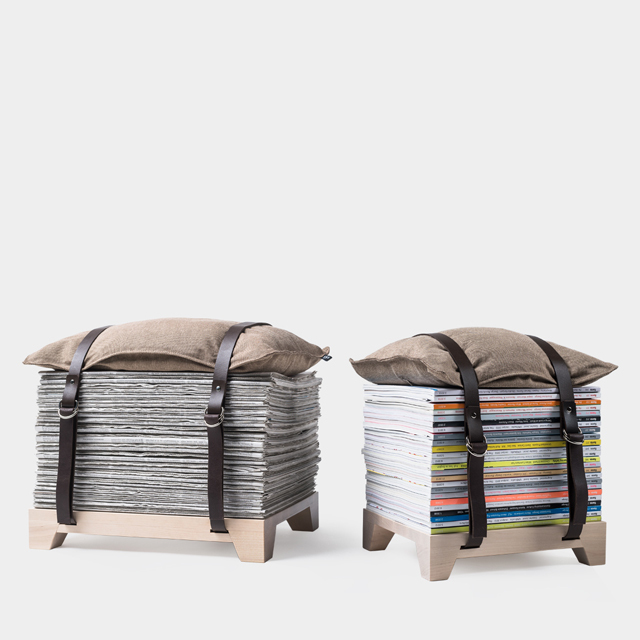 Collect, stack and take a seat! 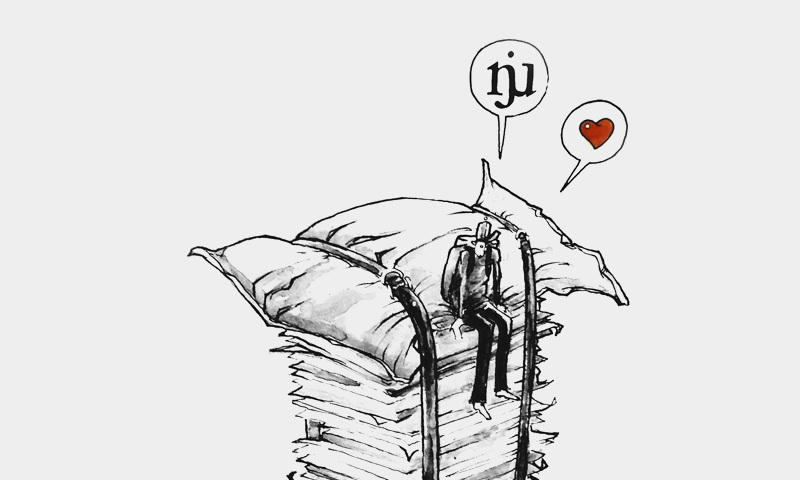 Some magazines you read, others remain untouched – and then they end up in your waste or become a dust collector in your shelf. Why not sit on them? The Hockenheimer is bundling magazines or newspapers. Please take a seat. 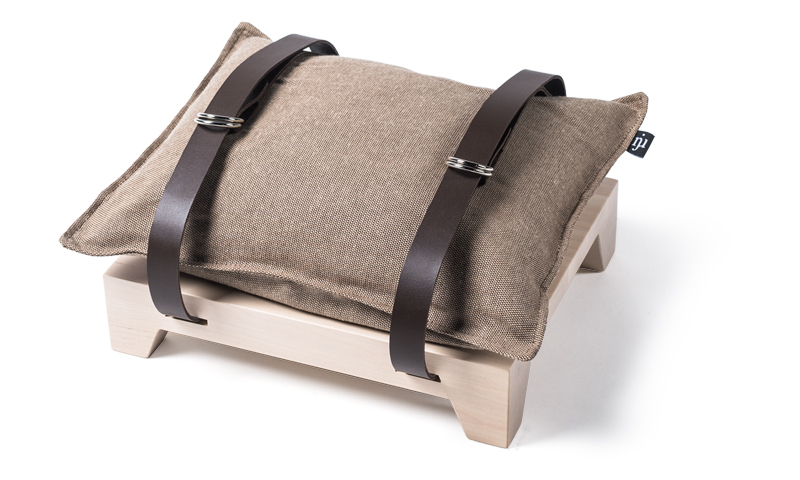 The Hockenheimer is comprised of a wooden base made of birchwood, extra-long split leather straps with two riveted metallic clasps, and a pillow covered with high-quality upholstery fabric (Panama Pesco). Produced in the close vicinity of Coburg. 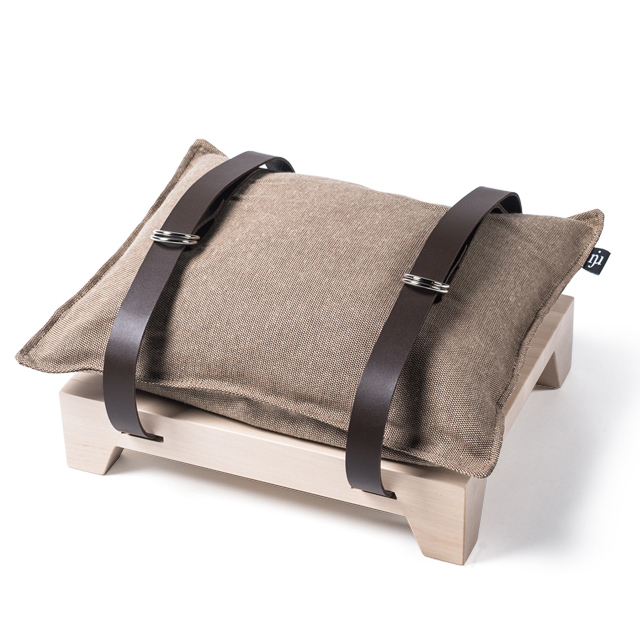 The wooden frame is handcrafted by a carpenter in Coburg, Bavaria, and the Nju-pillow is lovingly handmade in Rödental (in the close vicinity of Coburg). – Hello, Hockenheimer! 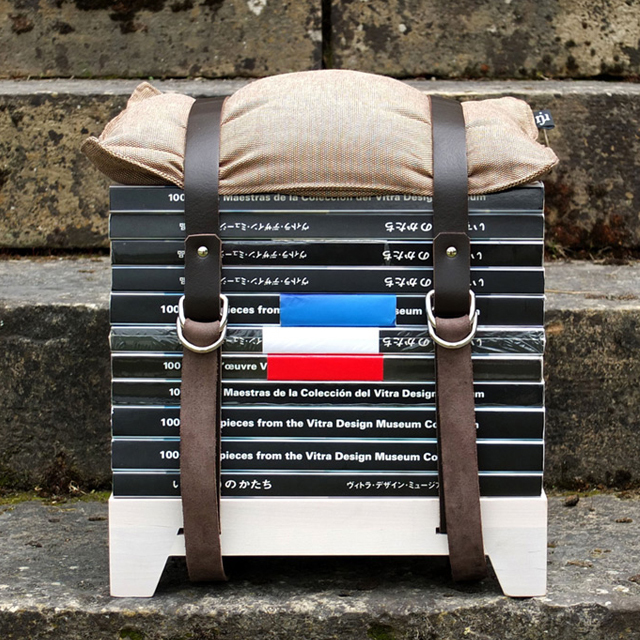 The Hockenheimer is a multifunctional storage system. 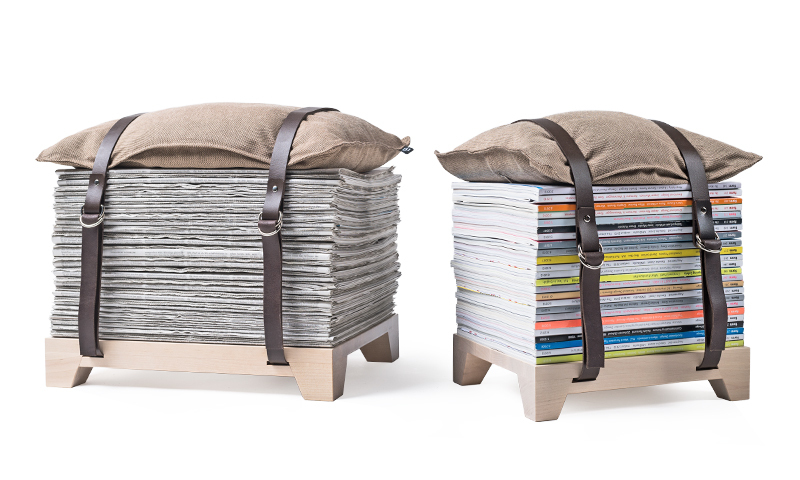 Store your magazines, journals or newspapers and thereby create your individual bundle of education – and take a seat! At home you will find many perfect places for the Hockenheimer. 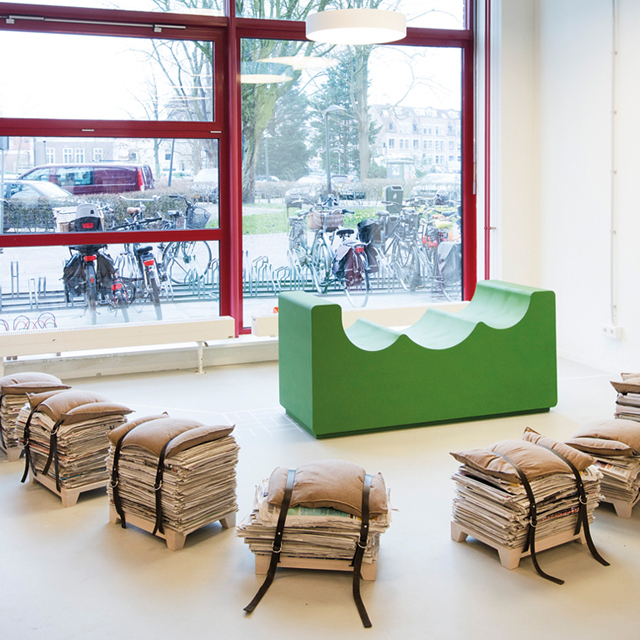 One possibility would be in the corridor – as a clever seating to comfortably put on your shoes. 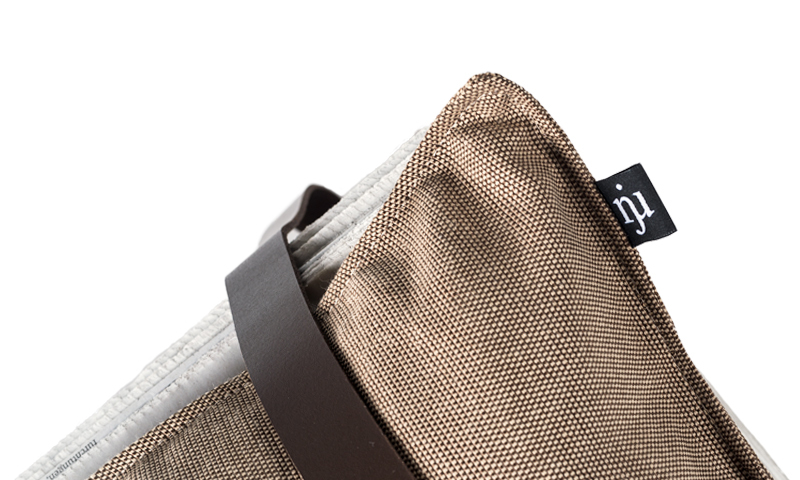 Shop – the Hockenheimer is available for magazines or newspapers.